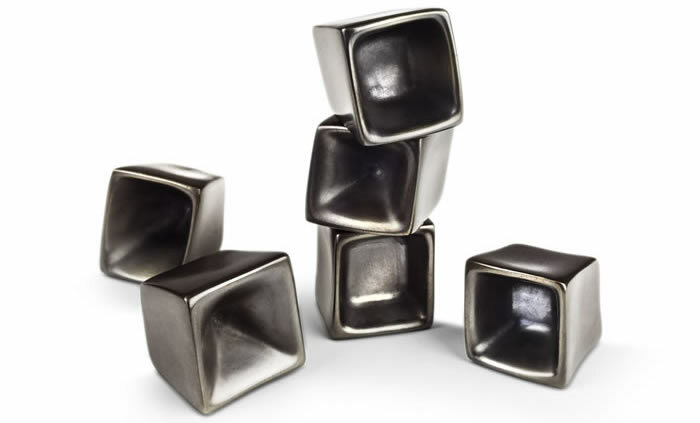 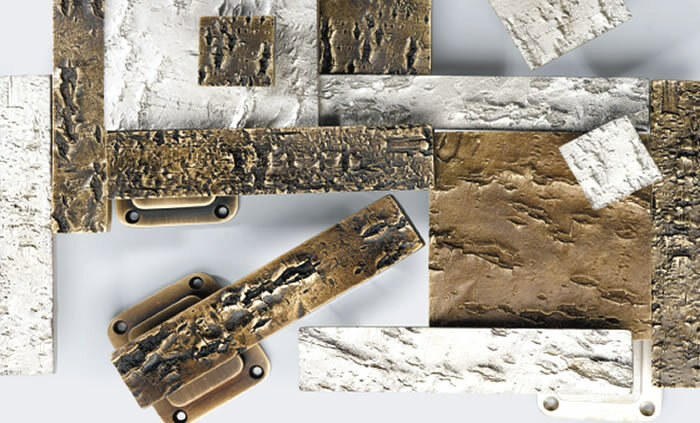 The Bronze collection epitomises Haute Déco's spirit of pared-down glamour, bringing a traditional material into the present with crisp modern lines and subtle finishes to chime with a contemporary sensibility. 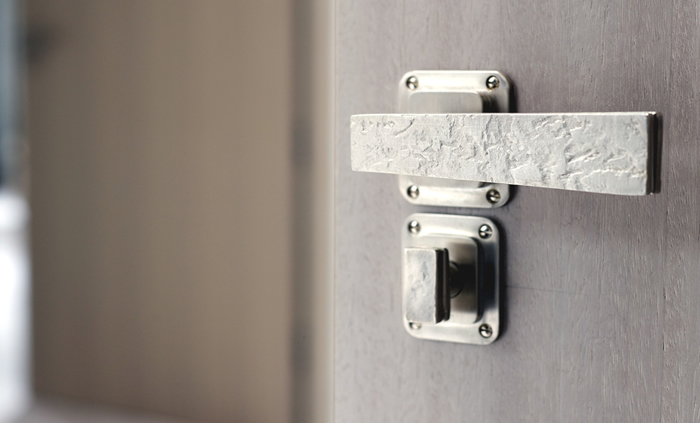 Purity of form is the guiding line, designed to give focus to the handles' evocative textures and extraordinary quality of finish. 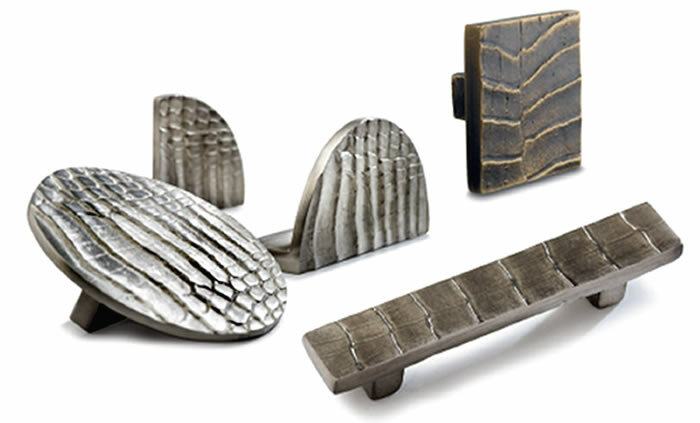 Luxurious patterns are fashioned like works of art, in a creative process that owes more to sculpture than to CAD. 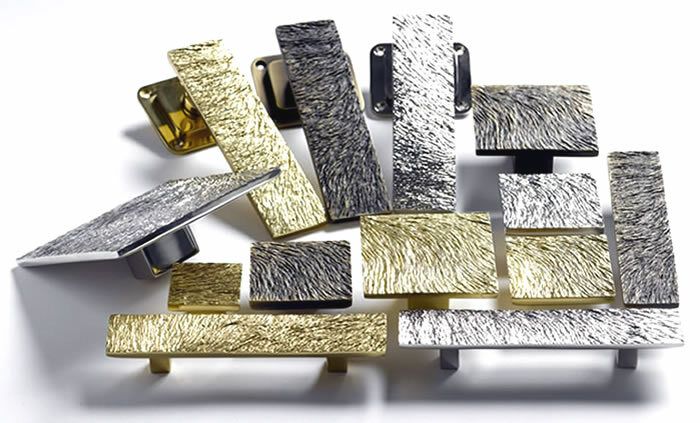 Influenced by Art Deco and the French 1940's movement, the collection comprises twelve distinct families with styles ranging from precious to sober, each with its own inspiration and vibe. 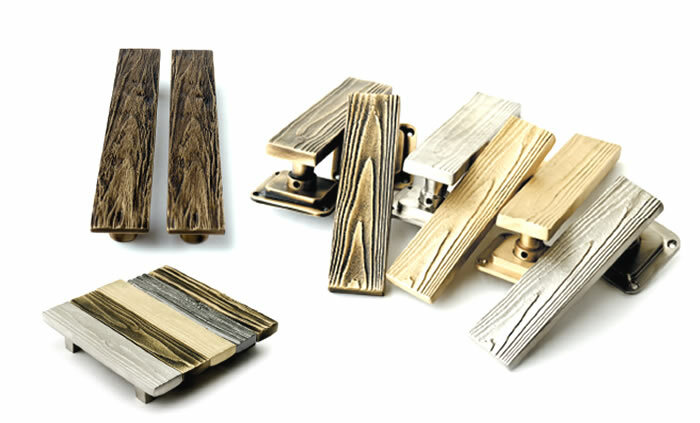 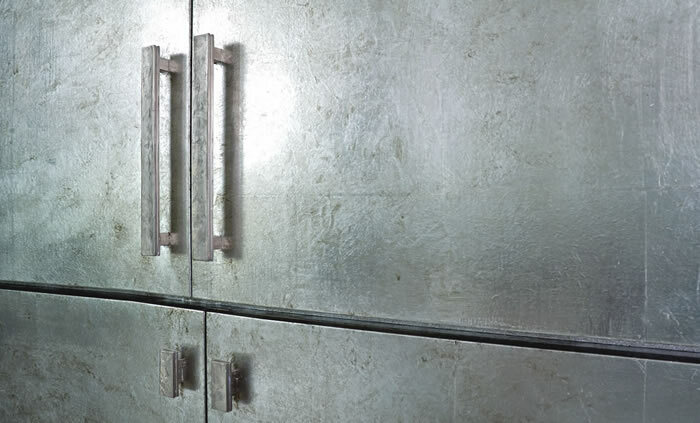 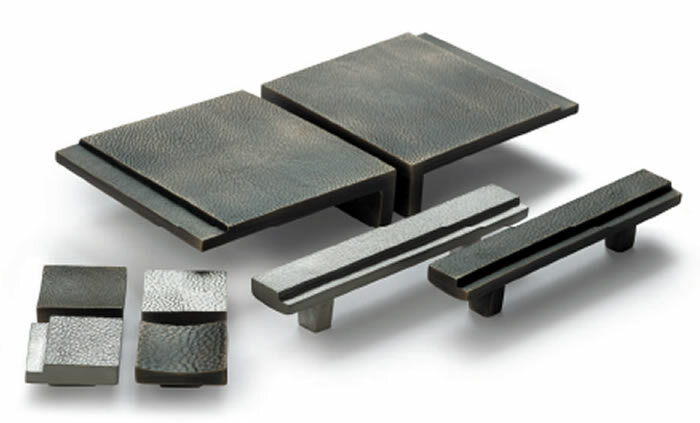 Our textured bronze handles are designed as families - or suites - destined to be combined in the same room on internal doors, fitted or free-standing furniture, in dressing-rooms and on kitchen cabinets and vanity units. 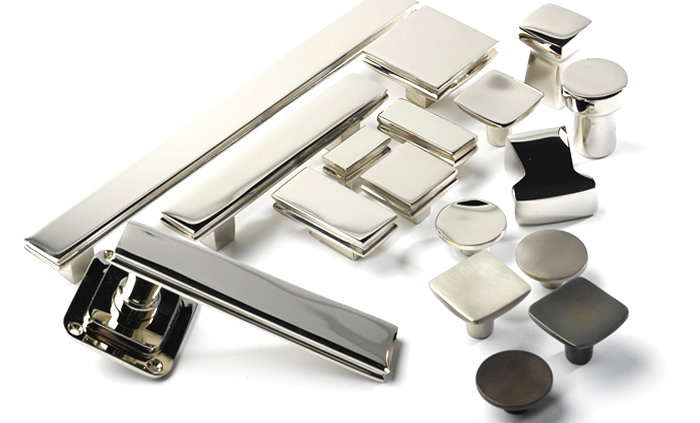 A decorative pattern is applied to a variety of formats serving complementary purposes: doorknobs, either fixed or turning; lever handles; cabinet knobs; furniture handles and drawer pulls. 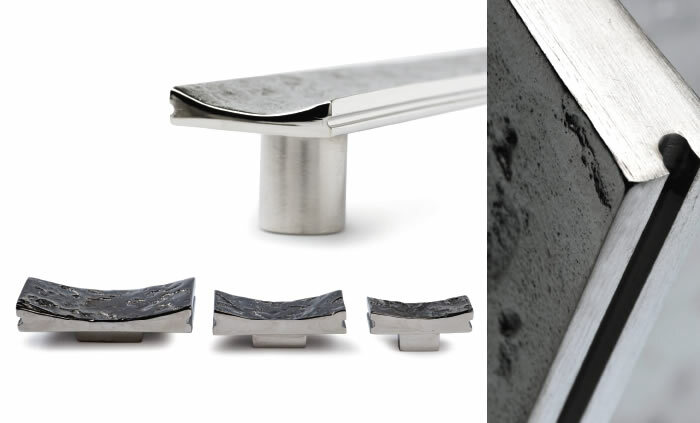 Statement handles for larger appliances and entrance doors generally complete the set, together with recessed handles for sliding and pocket doors. 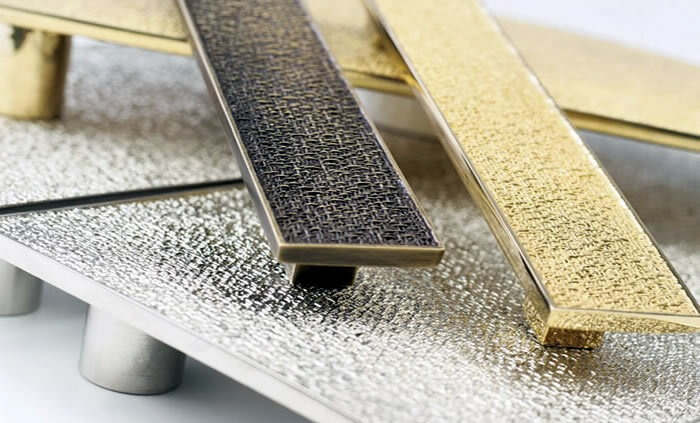 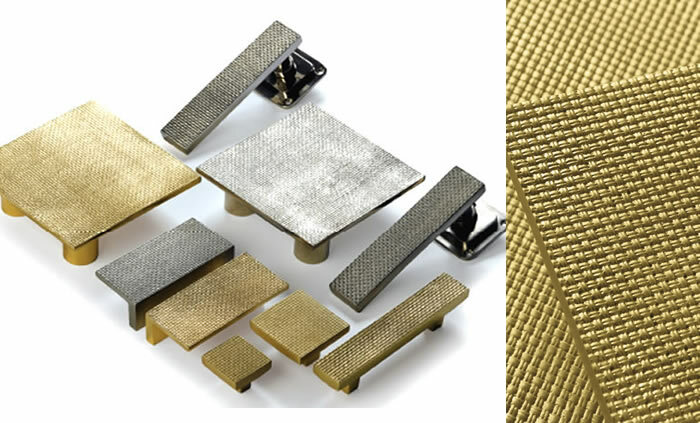 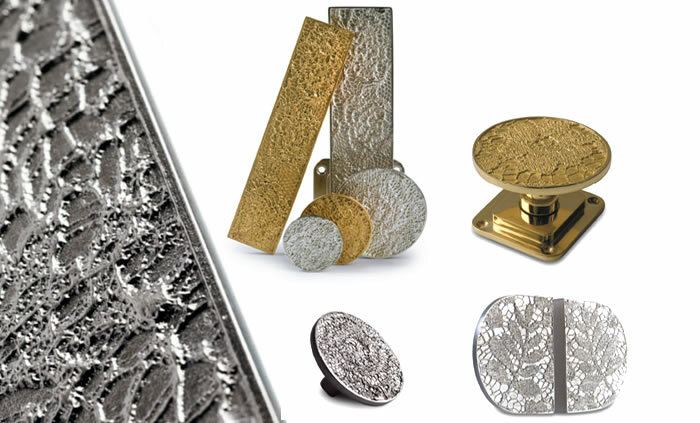 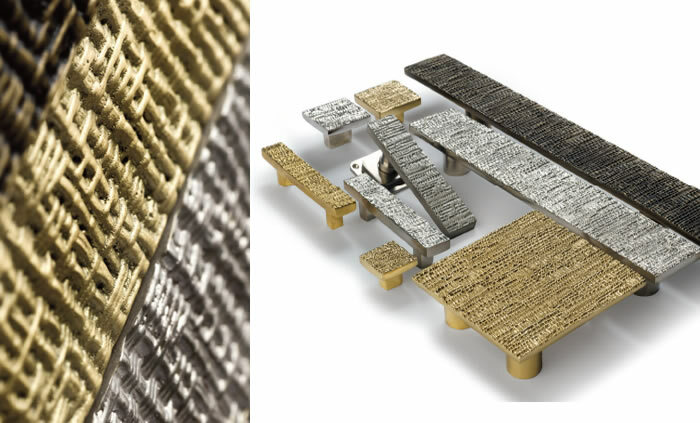 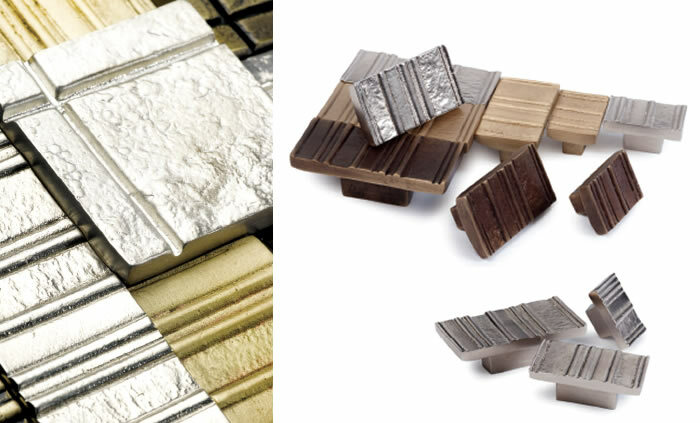 Specially perfected to complement our styles and textures, our finishes are tailored for 21st century aesthetics, most specially our gold finishes, soft, subtle and so contemporary.